I stayed up for the whole week for this! Why? Because I chose to play sponsor for trick or treat and also agreed to be part of the committee. All my pain of lack of sleep definitely payed off! 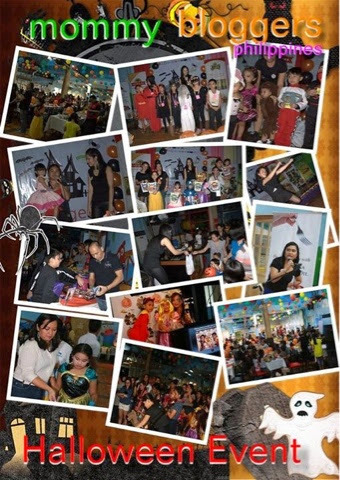 This was the much anticipated Halloween Party for the members and their kids of Mommy Bloggers Philippines. With just two months of planning headed by Lani Lluch the owner of the blogs MommyBloggerPhilippines.com and Tweensel.com the party was in full blast. I have had my baking business: Mamanee's Made With Love for more than two years yet I have never sponsored anywhere. I guess for my love of the group, I was just so inspired. The planning process was not easy since schedules were clashing and my meetings with Louisa Mercado of artofbeingmom.com and Lani were all online through chat. Final run through actually was just a few hours before the event. Registration opened as early as 1230PM, all committee members were hands on deck - Lally helped with issuing tickets, Joy of joybites.com and I handled costume parade registration, Louisa and Jho Ann issued the loot bags while Lani handed out the ride-all-you can tickets, much to the luck of the committee, Mel helped by serving food out despite not being part of the committee, which made me initially think she was in the catering business haha. Pre-registered attendees were given loot bags, a food stub, raffle tickets and a ride-all-you can pass. Mommies, Daddies and kids started pouring in and soon enough we gad a jampacked place. Registration closed at 2:10PM and the party was on. Program started with Mommy Pier Angeli of with a prayer followed by Lani Lluch for the opening remarks which was followed by the kiddie costume parade. I loved all of the costumes of the kids. Raffle draws were held and presentations by the daughters of our own mommy bloggers, Mariel daughter of Lani, Alyssa Ashley daughter of Michelle Jagumit and Kianna daughter if Louisa Mercado. Since I hosted the program, unfortunately I wasn't able to capture photos of my own. But as long as everyone was happy so was I.
Mommies went home with a bag of groceries from Jolly which is being exclusively distributed by Fly Ace Corporation and kiddies went home with overfilled loot bags with treats from Rebisco, Romance Reads, Leigh's Treats and my cookies from Mamanee's. It was an event that was surprisingly overflowing with fun and loot! Anybody who didn't make it, I'm sure would have wanted to be there. What I love about MBP Halloween party: Very well organized. Some kinks had been handled pretty well. All mommies are very nice and sweet even if I went there not knowing anyone, I went home with lots of new friends. The party was not just for kids but for the parents too, thanks to our generous sponsors. What I love about MBP Halloween party is being with the ladies, that some I just met during the event, and we worked together like we know each other for a very long time and we worked so well. 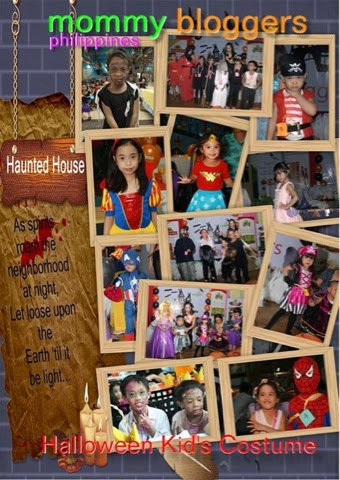 What I love about the MBP halloween party is that it was a venue for the kids to have loads of fun and for the mommies to meet each other in person. 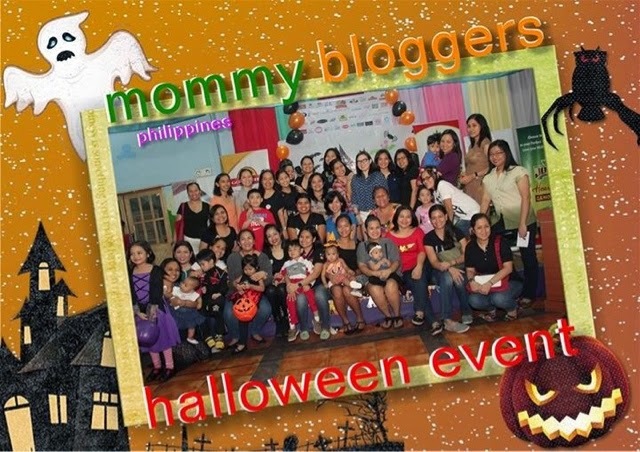 What I love about Mommy Bloggers Philippines Halloween Party is that for the first time the gorgeous mommies of MBP are together, I was able to see and meet the ladies behind the blogs I follow (stalker mode here! LOL!) :) and the kids had a great time! What I love abput the MBP Halloween Party? I finally got to see the faces behind each mommy blogs. It was truly a joy seeing all the families come together in one roof! What I love about MBP halloween is getting to see kids happy even if we need to run around the room and shorten our chikahan. For me, I would love to do it all over again! It gave me chance to finally meet other mommy bloggers in the group as well as to meet their kids. The sponsors were also very generous. 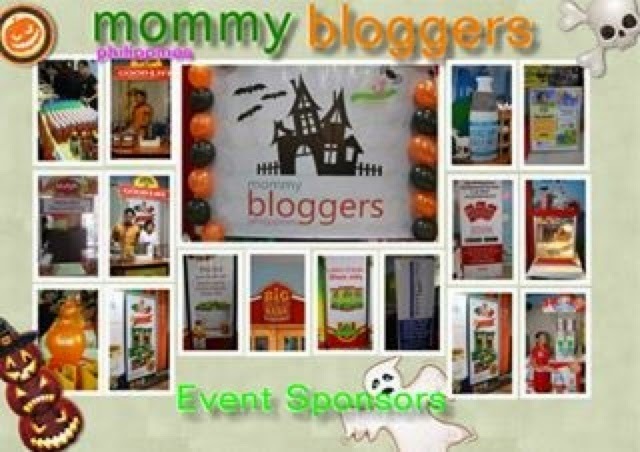 Great job to Lani and the rest of the Mommy Bloggers Philippines Committee namely: Lally, Joy, Jho Anne, Louisa and Pier. You ladies Rock! It was an honor to work with you and may we do this together next time. Fun Ranch, jolly Oils, Good Life, Dona Elena, Jolly Vow, Jolly Fresh, Maya Kitchen, SM Toy Kingdom, Bonakid, The Cream Factory, Photomark Lightworks Inc., Kinder Zoo Adventure Jungle, The mind Museum, Zoomanity, Zap, Pixtar Photobooth, Jelly Nelly, Wellworth, Sans Flou, Rebisco Frootees, Bebengisims Kitchen, Mamanee’s Made with Love, Olivia Tow, Myra Michelle Nunez-Tiquio, Joyceski’s Biz Faithshop, The Good Box PH, Hobbes and Landes, Romance Reads and See-Mee Videos and Lemonsquare.